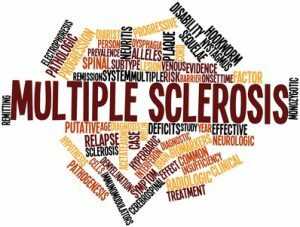 Physical therapists at Parsippany Physical Therapy understand that Multiple Sclerosis (MS) is a potentially disabling disease that affects both the brain and the spinal cord which is considered as the central nervous system. MS is a demyelination disease that causes the immune system to attack the protective sheath called myelin. Myelin covers nerve fibers responsible for passing information from the body to the brain and when attacked would lead to communication problems between the brain and the rest of the body. Further damage can cause the nerves to deteriorate and become permanently damaged. A condition that physical therapists in Parsippany, NJ would concur will cause mobility issues. Some patients may experience partial blindness while others would experience complete blindness. Other would experience tingling pains in parts of their body. Patients may exhibit signs of an unsteady gait – tremors and lack of coordination. Slurred speech, fatigue and dizziness. Bladder and bowel function problems. Since the main repercussion for MS is dysfunction of most body parts and the disease is also progressive, physical therapy rehabilitation is the best solution for regaining some bodily functions. Physical therapy at Parsippany Physical Therapy offers world-class treatment and rehabilitation for both new patients and those that are undergoing a relapse. Any physical therapist in Parsippany, NJ will tell you that the causes of MS is unknown and considered an autoimmune disease. In case you feel like you exhibit some of the signs and symptoms, visit Parsippany Physical Therapy and get a correct diagnosis.